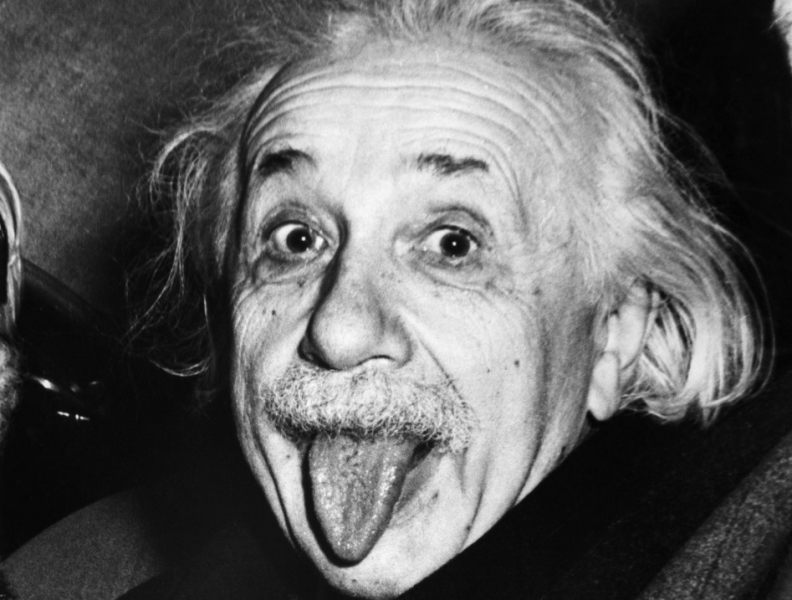 I have a very unscientific theory why Albert Einstein is a household name synonymous with genius: He was a famed wit with a wonderful sense of humor. His theory of relativity certainly has a daily impact on our lives but so does James Crick & Francis Watson’s discovering DNA and absolutely no one congratulates your science-fair winning child by calling them little Cricks or Watsons (or Maurice Wilkins or Rosalind Franklins who are sadly completely over-looked). They weren’t funny. Einstein was. He gave great quotes (they get 97 million hits on google), was engaging and the press loved him. Einstein was entertaining – and people listened. Truthfully, you don’t need to be a comedian and you don’t need to tell jokes. But you do need to be fully present and lead with your passion, not with the information. Because if you’re not entertaining, we’re not listening. There’s too much competing for our attention. Think of your best teachers in school. The most entertaining could make the toughest material come alive – and you sat forward, and listened. A monotonous teacher can make the most exciting material boring. 1: Let go of whatever limiting belief you may have about being entertaining. Charismatic and credible are happily compatible. Being overly serious, earnest or plodding does not make you sound smart. It makes you sound boring. You’ve spent hours preparing your keynote, years writing your book or developing your product and you’re finally going to market – don’t you want us to listen? 2: Passion. Enthusiasm. If you’re not excited about what you’re saying why should we be? Be an evangelist for your ideas. 3: Be Concise. Know the point(s) you are making and get there swiftly. To paraphrase Albert Einstein, if you can’t easily explain it to your grandmother you don’t understand it – and neither will we. And by all means, smile and exude warmth. If you’re not sure see #1 above.